Mahindra Truck and Bus : When Raipur Outperformed! 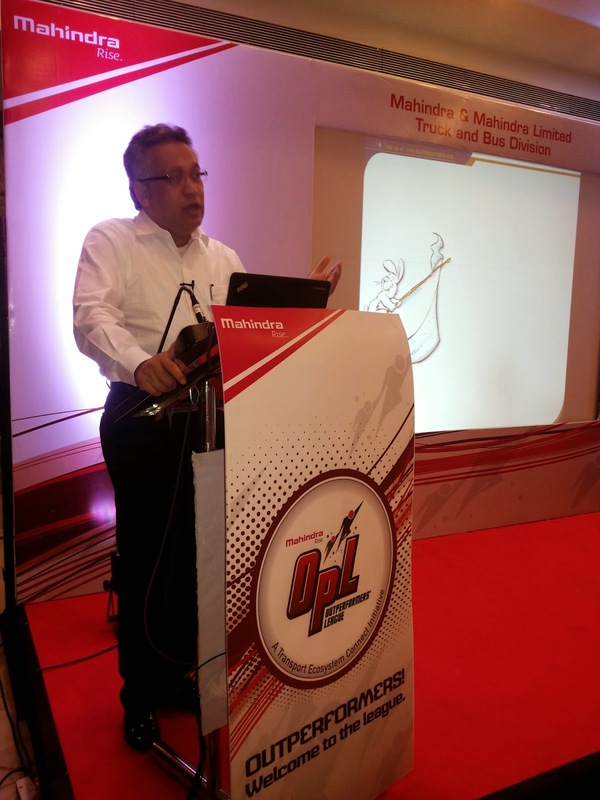 The latest destination to host the Outperformer’s League (OPL) conducted by Mahindra & Mahindra Ltd. - Truck and Bus Division was Raipur. OPL is an exclusive platform that provides an opportunity to the fleet owners to meet, interact and share information with each other and the other stakeholders of the trucking industry. In Raipur, the seminar was held in Hotel Babylon International on the 7th of July, 2014. The seminar focused on the Steel segment and was attended by 59 customers who included renowned fleet owners operating in this segment. 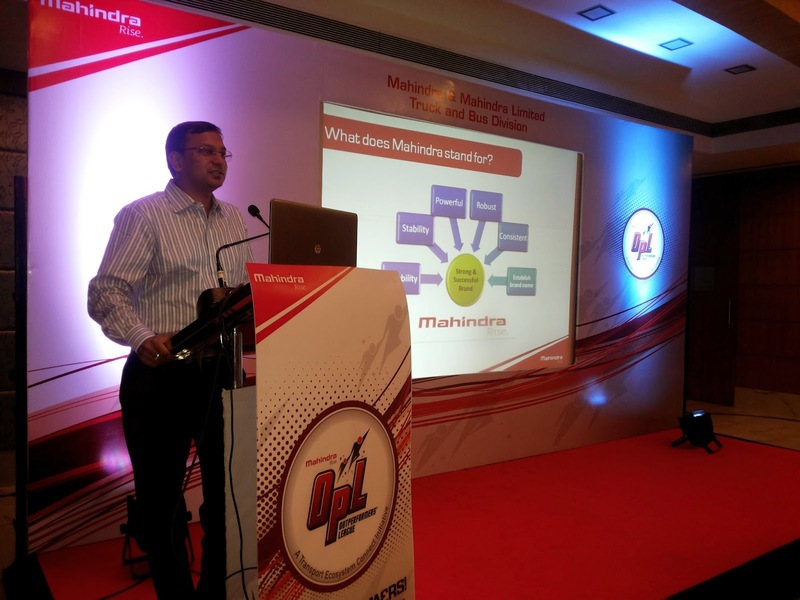 Mr. Amit Kumar Gupta, Zonal Head (West & Central), Mahindra & Mahindra Ltd. – Truck and Bus Division opened the session with a detailed presentation on the OPL, explaining the various initiatives and customer benefits associated with it. He also concluded the seminar with a vote of thanks. Eminent Steel Industry Expert, Mr. Manoranjan Nayak, Head Procurement – Mahindra Logistics Ltd. was the first speaker to address the seminar. His presentation provided an overview on steel transportation. He educated the audience on the factors that determine purchase decisions and how choosing the right vehicle can help one to improve their business. The details & insights in his presentation was much appreciated by the audience. Motivational speaker, Mr. Vijay Batra was the next speaker for the evening. His highly inspirational presentation on how to motivate transport employees and drivers helped the audience learn and understand the importance of employee motivation and its effect on business. Introducing a softer angle to the core learning was a well-received change. The OPL also saw the display of the powerful TRUXO 31 and TRACO 40 for customers to have a closer look. The seminar provided an exclusive platform to the various fleet owners to closely interact with other customers, industry experts, officials from the Mahindra & Mahindra Ltd. – Truck and Bus Division team and Ralas Motors, Raipur (Authorized Dealer – Mahindra & Mahindra Ltd. – Truck and Bus Division). The speakers, who were subject matter experts added immense value to the attendees. Following the seminar the customers were all praise for the Raipur OPL. They were really motivated and appreciative of the company’s initiative to go beyond sales to develop the transport community. With positive customer feedback about the seminar this installment of the OPL was truly a successful one.